On 30th March 2019, the District 9930 Nominating Committee met to complete the interview process for the position of District Governor for the 2021-22 Rotary year. In accordance with Rotary International and District 9930 Bylaws, any club that nominated an unsuccessful candidate had 14 days to challenge the selection, and the name of the successful candidate was circulated to those clubs immediately following the selection for that purpose. The challenge period has now concluded, and as there were no successful challenges, I am pleased to confirm that the Nominations Committee has selected Ross Pinkham, nominated by the Rotary Club of Taradale to lead the district in 2021-22. Ross is married to Vivienne and they have three children and five grandchildren. 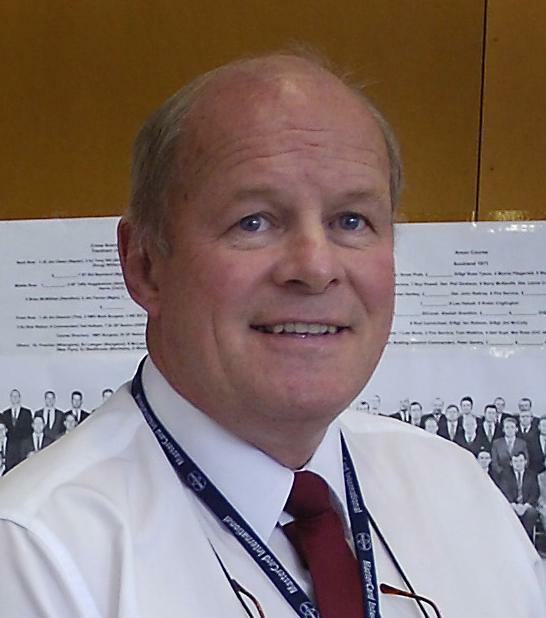 Ross is a member of Taradale Rotary which he joined in 1984.
ith his career in the New Zealand Police (1970-2012), he moved around and was also a member of Rotary New Plymouth North (1986-91), Taradale (1991-98), Bangkok South, Thailand (1998-2003), Dunedin South (2003-10) and back to Rotary Taradale. Ross was President of Taradale 1994-95. He has been District Governors Representative (Napier) 1995-96, Assistant Governor (Area 9) 2013-16 and District Conference Chair 2016. He currently serves as D9930 Youth Protection Officer. His distinguished career in the New Zealand Police has taken the family around New Zealand and overseas. He retired with the rank of Detective Inspector and he has been involved in many significant homicide and serious crime investigations and international drug enforcement in the Asia/Pacific region. The Nominating Committee is delighted to be able to select such a high calibre Rotarian to the role and the members of the district leadership team are looking forward to working with Ross from July when he takes the first step by becoming District Governor Nominee.